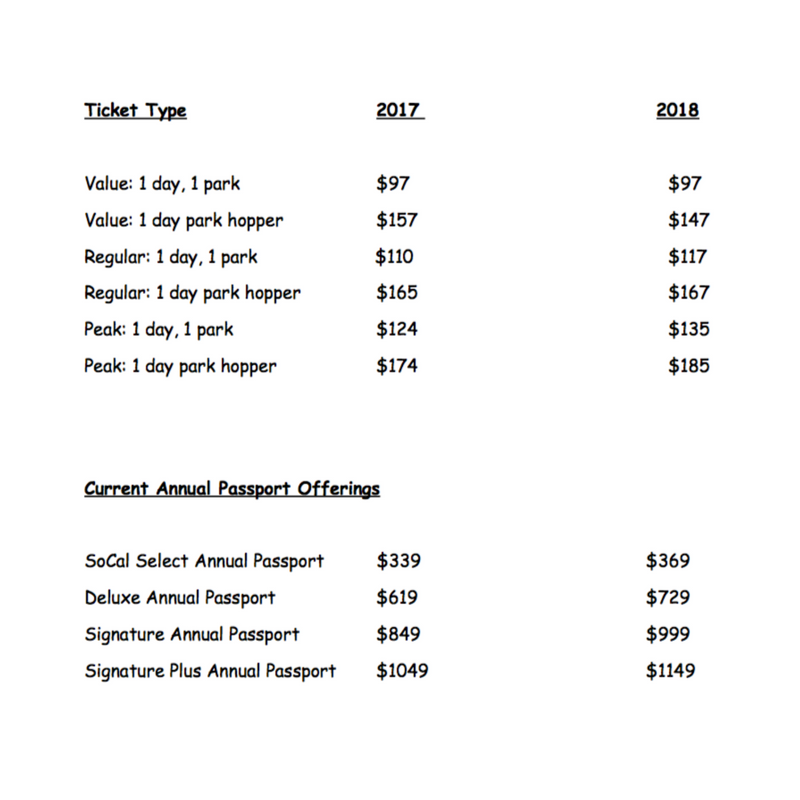 On February 11, 2018 Disneyland Resort Parks raised ticket and Annual Passport prices. 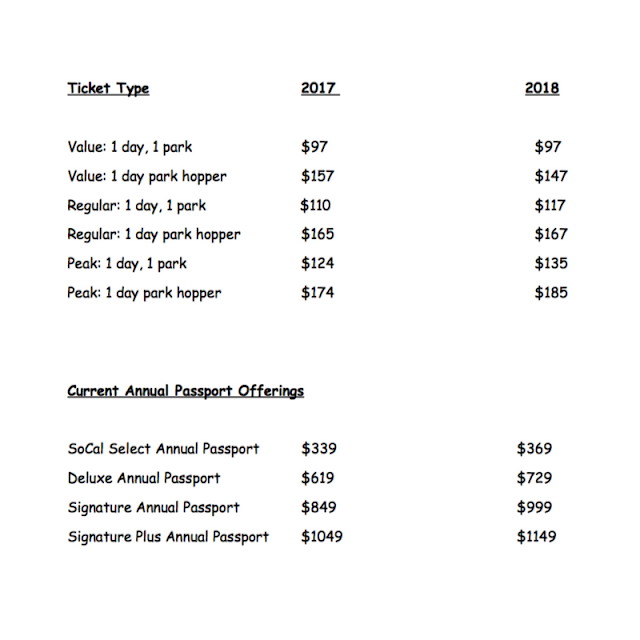 Some of the tickets only increased by a few dollars while the Annual Passports went up significantly in price. 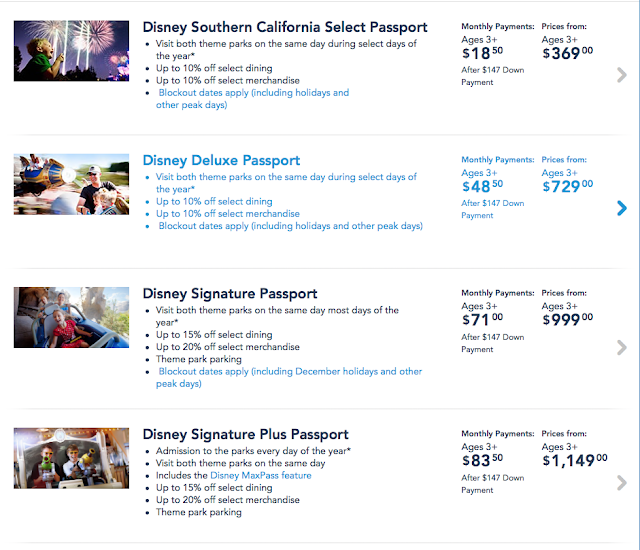 Here is a price comparison in ticket prices from 2017 to 2018 at the Disneyland Park Resort. Here are some things you need to know about the new Annual Passports at Disneyland. * There is NO longer renewal discounts for Annual Passports. * Current Annual Passholders (if you choose to renew) you will renew at the new prices when your current pass expires (no grandfathering in). * You can renew your Annual Pass 40 days before it expires. 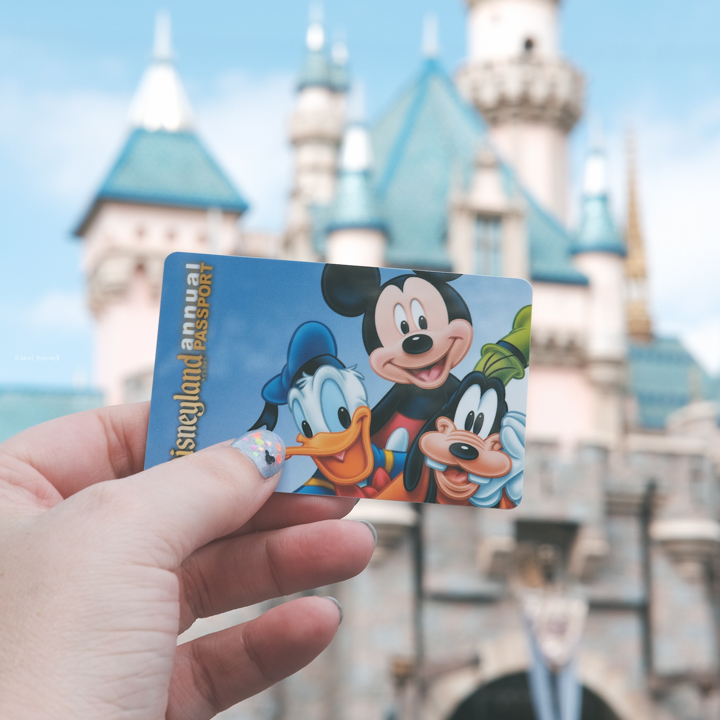 * If you recently purchased or renewed an Annual Pass and are using the monthly payment option, your monthly payment price will remain the same until your pass expires. 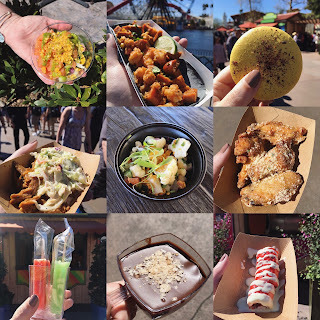 * The SoCal Select AP (for Southern California residents only) is available for new and renewals. * Monthly payment options are only valid for California residents. * The initial down payment has increased from $97 to $147 for those in California using the monthly payment plan option. For more information on Annual Pass options and blackout dates for each pass visit Disney Parks website.